Education In Building is proud to be the only Nationally Registered Training Organisation offering training in BERS Pro Software which will allow you to practice as a NatHERS accredited House Energy Rater throughout Australia. The BERS (Building Energy Rating Scheme) computer program is a powerful tool that is used to simulate and analyse the thermal performance of Australian houses in climates ranging from Alpine to tropical. 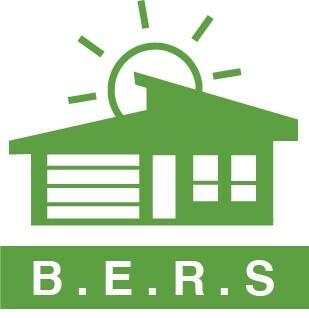 BERS is a House Energy Rating Scheme that can be used to assign a star rating to a house within a particular climate type. Our BERS Pro Software Training is especially popular. Energy Inspections strongly advises all BERS Pro users to obtain appropriate training in the software before commencing use. Facts about BERS PRO software course…. By completing the BERS Pro course as the tool of choice within the Certificate IV in NatHERS Assessment you will be eligible to become Accredited as a House Energy Rater and supported and recognised by NatHERS . You can enrol in the complete BERS Pro course for just….. Being successful in the course, you will be granted a Nationally recognised qualification bearing the units of competency below. This training is delivered by way of On-Line pre-recorded tutorials using the EIB Learning Management System and authored by our highly skilled and qualified trainers. These are the units required by the NatHERS administrator to become accredited as a House Energy Rater. Don’t get caught by other providers who only offer a Statement of Completion…. check to see if you will be accredited to use the software with the NatHERS administrator. Do you have further questions about our BERS Pro software course?